In March 2018, the Australian Parliamentary Joint Committee on Intelligence and Security reported on its review of the questioning and detention powers of the Australian Security Intelligence Organisation (ASIO). The review focussed on whether there remains a need for an ASIO questioning power in the current security context, and how this and ASIO’s detention power interact with other counter-terrorism powers. What are ASIO’s current questioning and detention powers? Under the Australian Security Intelligence Organisation Act 1979 (Cth) (the Act), ASIO has the power to obtain a warrant in order to compulsorily question persons. This can be utilised in order to gain intelligence in relation to a terrorism offence. As the questioning is compulsory, persons are legally required to provide any information, records, or things sought by ASIO. A questioning warrant (QW). This requires a person to appear for questioning in relation to a terrorist offence/s. A questioning and detention warrant (QDW). A QDW is similar to a QW, except additionally means that police take the person into custody and detain them prior to questioning. The Act sets out numerous details with respect to QWs and QDWs including, under what circumstances they may be issued, time limits for questioning, record keeping of actions taken under such warrants, rights to legal assistance and limits upon it, and criminal offences for non-compliance with warrants along with associated secrecy requirements. How often does ASIO use these warrants? In light of the heightened discourse surrounding the threat of terror to Australia, one might expect that these powers are regularly employed by ASIO. Perhaps surprisingly, the opposite is true. In the 14 years since introduction, ASIO has only been issued 14 QWs (and only two since 2005, the last being in 2010). To date, no QDW has ever been issued to ASIO. What submissions did the Committee receive? In the process of preparing the report, the Committee received 22 submissions from a variety of government, academia, and other stakeholders. Some submissions to the Committee argued that ASIO’s lack of use of its questioning powers was evidence of their redundancy, particularly in light of alternative means of intelligence gathering. ASIO itself opined that this was rather due to its judicious use of such powers and changes in the nature of terrorist attacks. ASIO argued that the powers have produced and may continue to produce useful intelligence. Again, some submitters drew attention to the fact that this power has never been used by ASIO. Others contended that it is an unnecessary tool to disrupt terrorist attacks, particularly in light of others available to government agencies and bodies. It was further contemplated that the QDW power could potentially breach the Constitution and Australia’s human rights obligations under international law. For its part, ASIO submitted that its detention powers be retained, though their format amended. In ASIO’s view, this power could be necessary to ensure persons appear for questioning, are prevented from altering others about an ASIO investigation, and are prevented from destroying materials. What were the key recommendations? The Committee ultimately made four recommendations. The Committee recommended that ASIO retain its compulsory questioning power under the Act. The Committee recommended that ASIO’s powers in relation to detention be repealed. The Committee recommended that legislation for a reformed ASIO compulsory questioning framework be developed and introduced before the end of 2018 and that this legislation should include a sunset clause. Scope of questioning – The scope of ASIO’s questioning powers could be broadened to include different security threats, e.g. espionage and foreign interference. Emergency authorisations – The Committee supported ASIO being given the power to apply to the Attorney-General, in emergencies, in a manner other than in writing. Warrant issuing authority – The Committee contemplated extending persons with this authority from just retired judges to also include certain legal practitioners with at least five years’ experience. 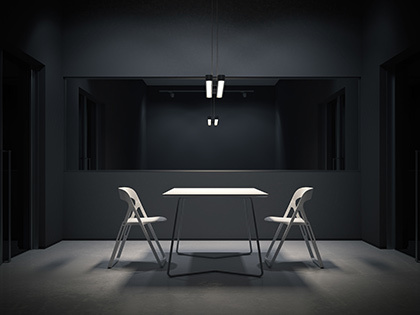 Apprehension powers – Whilst detention powers were not supported, the Committee did back powers to apprehend in order to secure the attendance of a person for questioning. Questioning of minors – Whilst acknowledged as extraordinary powers, support was given to lowering the minimum age of a questioning subject to 14 in certain circumstances, albeit with additional oversight. 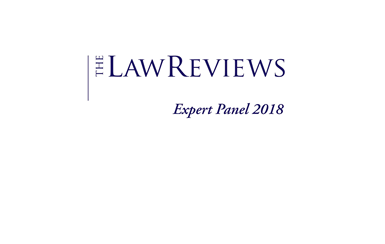 Post-charge questioning – Whilst the Committee provided no definitive position, it was considered that any allowance of post-charge questioning must be accompanied by adequate legal safeguards. Access to legal representation – The Committee opined that any person subject to questioning should be afforded adequate access to legal counsel. Secrecy provisions – The Committee supported maintaining the requirement of post-warrant secrecy at two years following questioning. Oversight and accountability – The Committee supported retaining all existing accountability and reporting requirements imposed on ASIO in respect of these powers. The Committee recommended that the current sunset date in the Act (7 September 2018) be extended by 12 months in order for legislation to be developed and reviewed. A sunset clause means that the relevant legislation will lapse on a particular date unless expressly renewed by the Parliament. Parliamentary Joint Committee on Intelligence and Security, ASIO’s Questioning and Detention Powers, Report (2018).